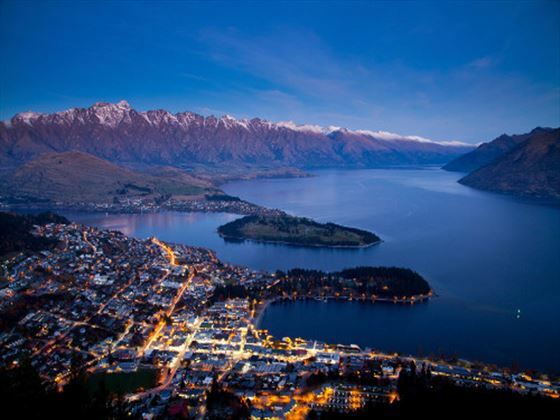 Beginning in Dubai and ending in Sydney, this exhilarating tour takes you through the contrasting landscapes and attractions of a range of destinations, including the beautiful South Island in New Zealand. Take it all in at your own pace with an eight-day self-drive that gives you the opportunity to really admire the surrounding scenery and immerse yourself in what makes New Zealand special. 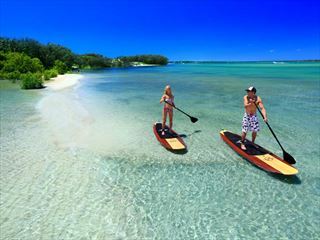 From shopping to beaches, historic landmarks to natural wonders, this tour has it all and then some (TM - NZ). 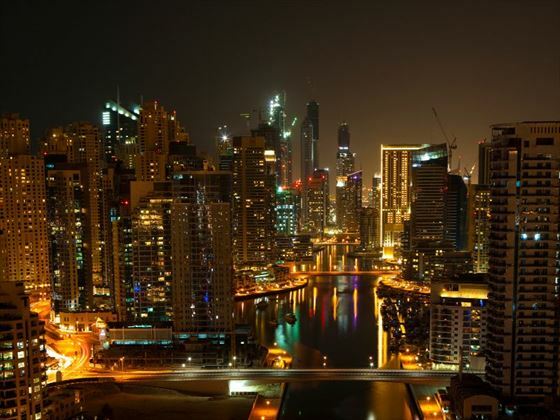 Fly overnight to Dubai and transfer to your hotel upon arrival for your three-night stay. The hotel is situated in downtown Dubai and within easy reach of the famous Burj Khalifa, so it’s ideal for exploring the city. Make the most of the fantastic shopping in the vast malls and bustling souks, dine on spectacular cuisine and relax on the beach. Transfer to the airport and embark on your flight to Christchurch where you will be met and transferred to your hotel. 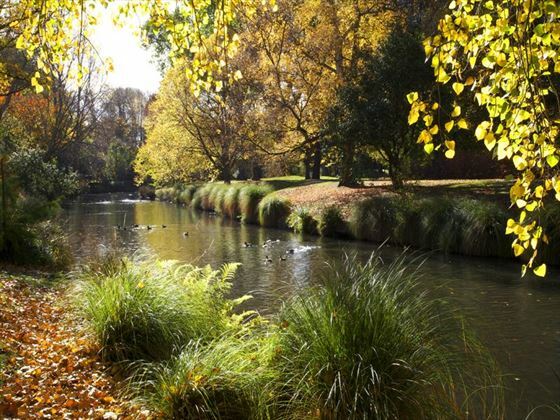 Christchurch boasts one of the largest public parks in the country, as well as a collection of impressive stone buildings, museums and galleries. One of the best ways to get around is on one of the historic trams – a 30 minute loop allows you to hop on and off at museums, gardens and shops. Pick up your hire car in the morning and begin heading across the Canterbury Plains and into Mackenzie Country. Ascend Burkes Pass and you’ll reach the picturesque town of Lake Tekapo which is the first of the large Southern Lakes. This is the perfect spot to relax and enjoy the views or take a boat trip out onto the lake. 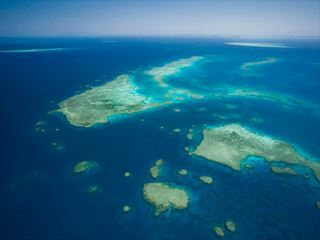 Alternatively, take a scenic flight, go fishing or enjoy a guided horse trek. Just half an hour from here is Lake Pukaki which offers sensational views of Mt Cook National Park; there are some fun activities in Mt Cook Village as well, including glacier landings, walks and kayaking. Upon arrival at the Hermitage Hotel, be sure to visit the Sir Edmund Hillary Alpine Centre. 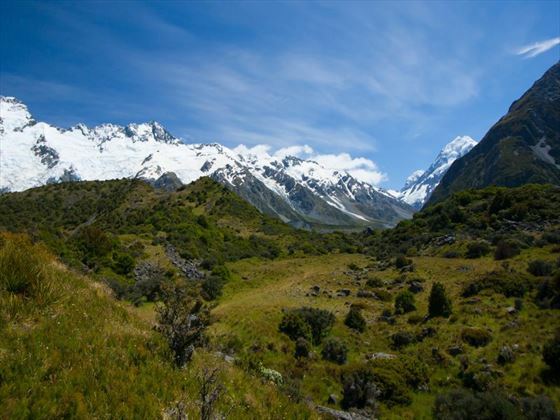 Head slightly south of Mt Cook and you’ll reach the setting for many of the scenes in the Lord of the Rings films. Further on, the town of Oamaru is famous for the unique locally-quarried stone that creates the many white buildings. Make time to explore the old quarter and, if you don’t mind arriving into Dunedin late, stick around to see the blue penguins come ashore at dusk. Further south are the famous Moeraki Boulders which are well worth a short detour to see. Drive to Te Anau today through the classic Southland farming scenery; if you want to explore off the beaten track, The Catlins is a great option. 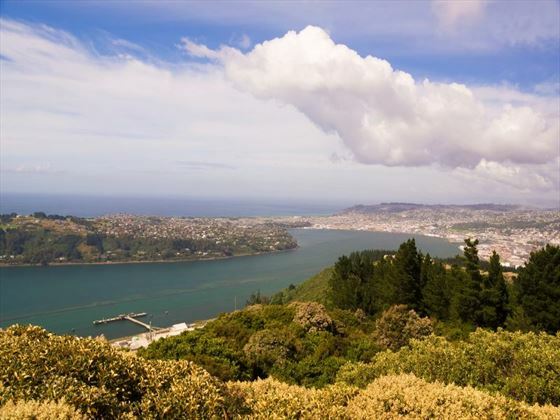 Follow the amazing Otago coastline to Invercargill which will take you through the fishing town of Riverton and Colac Bay, before your arrival onto Manapouri. Here you can embark on your day or overnight cruise to Doubtful Sound. 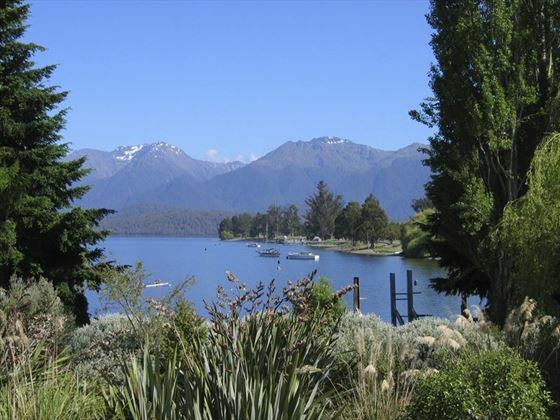 Just slightly north and you’ll arrive at the lakeside township of Te Anau, which is your gateway to the Fiordland National Park and Milford Sound. Pass through Mossburn on your way to the southern shores of Lake Wakatipu. As you follow the lake north and approach Queenstown, you’ll begin to see the Remarkables mountain range coming into view. Today you will make your way to the Franz Josef Glacier. 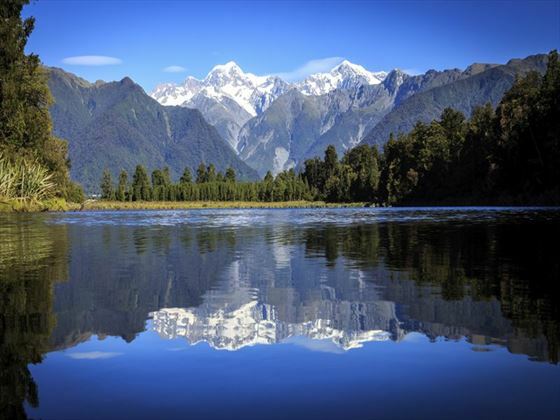 The route takes you through the alpine town of Wanaka and to Mt Aspiring National Park. On from here, you’ll cross the crashing Haast River to take you well and truly onto the wild West Coast. Franz Josef is just 45 minutes on from Fox Glacier – one of the best ways to see this unique attraction is with a helicopter flight with a glacier landing. Drive north from Franz Josef to Greymouth which is the starting point for your Tranz Alpine train journey – one of the most picturesque routes in the world. The Tranz Alpine train takes you through to the east coast, passing the Otira Valley, Arthur’s Pass National Park and the Southern Alps along the way. Crossing the Canterbury Plains before arriving into Christchurch, you’ll be met at the station and transferred to your hotel. Transfer to Christchurch airport in the morning for a short flight to Auckland. After transferring to the hotel, the rest of your time here is at leisure. 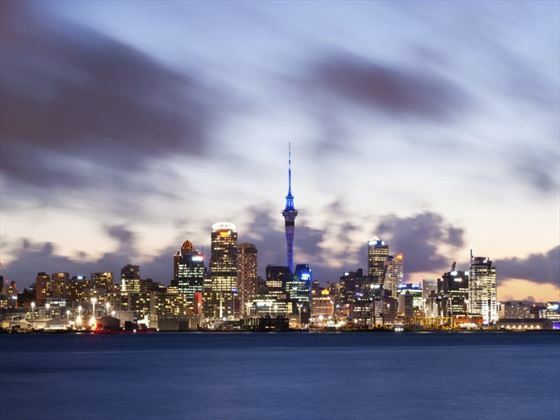 With countless day trips and excursions to choose from, there are plenty of ways to spend your time in Auckland. Spend time relaxing and enjoying the picturesque harbour, go shopping and sampling the culinary delights of the city, or explore the cultural side with a trip to the museums and galleries. 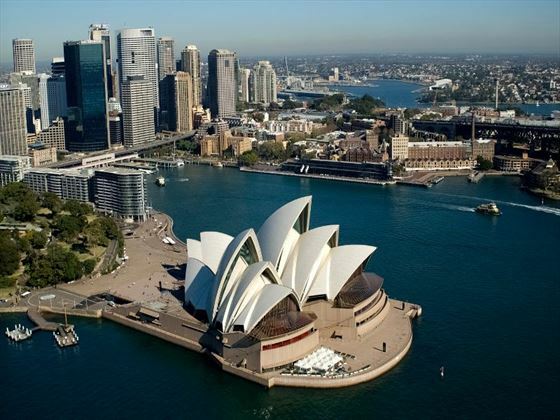 Take an overnight flight to Sydney and then transfer to your hotel upon arrival for your four-night stay. Sydney is packed with attractions and things to do – it’s one of the most famous cities in the world so you can guarantee that there’s plenty to keep you occupied during your stay. No visit would be complete without seeing the Sydney Opera House but if you want to really explore, take a city sightseeing tour or travel around by bike. Today your tour comes to an end – make your way to the airport for your departing flight.